Not only is the Earth revolving around the sun, but the Earth is also spinning. As the Earth spins, the sun always shines on one side which gives it sunlight. When you’re facing the sun, it’s daytime. But when you’re on the part of the Earth that’s away from the sun, it’s night time. 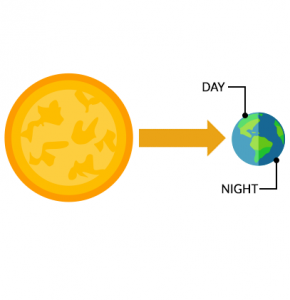 So we have day and night because of the Earth’s rotation. And that line that separates day from night is the terminator line. A full day on Earth is clocked at 23h 56min 4sec. That’s a bit less than 24 hours. In order to make a complete rotation in this amount of time, Earth spins at 1000 miles per hour (1600 km/hr). That makes Earth’s rotation faster than a bullet train. But we’re so used to it that we don’t feel its tremendous rotational speed. Earth rotation is a pace-setter for our sleep patterns. If you shine a flashlight on a spinning top, the side lit up is daytime. The dark side is night time. 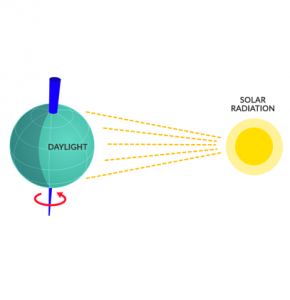 That’s how our day-night cycles work with the sun as our flashlight. Every day, the Earth rotates a full 360 degrees. More specifically, it takes about 24 hours to fully spin in a circle. When the Earth spins on its axis, our clocks are set for this duration of time. For example, our hours, minutes and seconds are tied to the length of a day. Because the Earth’s circumference is 24,901 miles and a day is 24 hours, Earth rotates at about 1000 miles per hour. 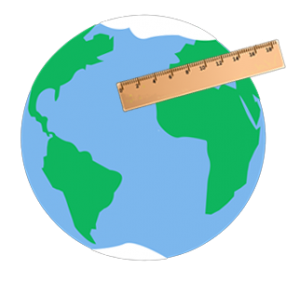 In general, Earth shape is an oblate spheroid flattened at the poles. Because earthquakes can rearrange Earth’s mass, they can speed up, slow down or have no effect on Earth’s rotation. For example, figure skaters spinning with their arms in move faster. But when they put out their arms, they spin more slowly. Back in the 1940s, researchers found that the Earth speeds up and slows down a bit as it spins. Because of this, we use atomic clocks which measure time precisely. 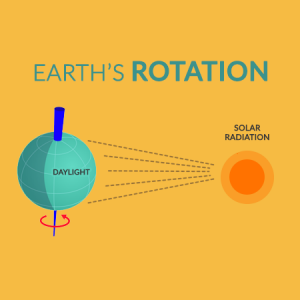 Because the Earth rotates, it’s more than physics that makes this phenomenon interesting. It’s not only physics but Earth’s rotation affects us biologically. For example, our bodies are programmed to sleep based on Earth’s rotation. The Earth is slowing down because the moon’s pull affects its rotation. But it’s very negligible with little effect. While half the Earth is in sunlight, the other half is in darkness. This is similar to the phases of the moon. You got any more interesting facts about the day-night boundary? Please let me know with a comment below. How does Earth size up? Can there be night time in Mexico City and also at the same time be night in Jerusalem? At 03:00:00 UTC time, it’s dark in both Mexico and Jerusalem. But I guess it would be close to morning for Jerusalem at that time.